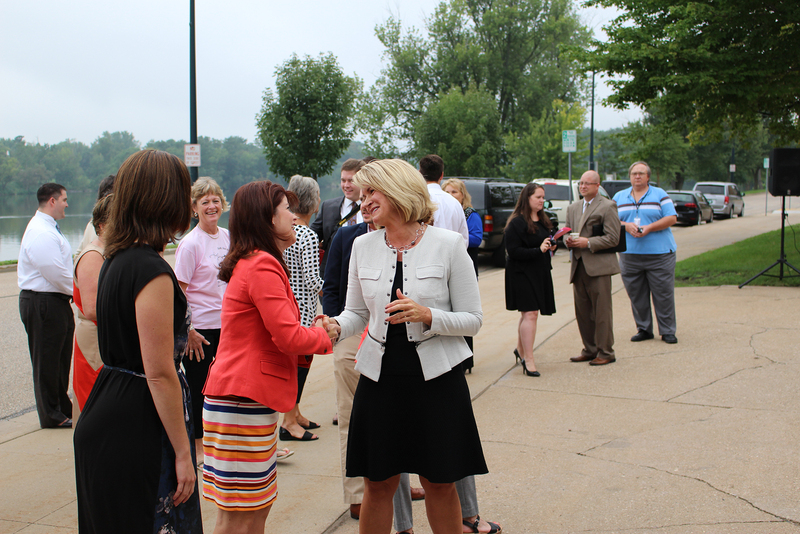 This morning, residents have once again demonstrated support, pride, and a sense of ownership and appreciation for local assets, as evidenced by the strong turnout at today’s announcement by Lieutenant Governor Rebecca Kleefisch of the $472,000 grant for the Tribune from the Wisconsin Economic Development Corporation (WEDC). This important grant and the partnerships it represents accelerates our efforts and will leverage key investments from other philanthropic, private, and public resources. 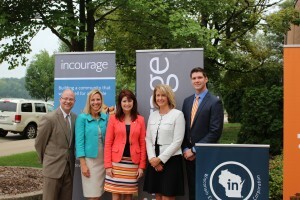 On behalf of Incourage’s board, staff, volunteers – and the over 800 residents involved in the Tribune to date – I extend our appreciation to the City of Wisconsin Rapids, including Mayor Vruwink, Common Council members and staff, and the State of Wisconsin/WEDC for their support and partnership. The turnout this morning represents the most recent and relevant example of the growing movement underway in our community, displaying the sense of community, pride, and appreciation for local assets that were also evident during our 4th annual community picnic. On August 5, more than 5,000 members of the community came together in front of the historic Tribune building to celebrate our region and its residents by participating in a community picnic. The picnic’s remarkable attendance by residents of all ages demonstrates our commitment to and recognition of what the Tribune represents: Our increasing sense of shared ownership, responsibility to each other and commitment to place. The Tribune will accelerate economic growth, impact, and value, promoting connections among individuals and institutions. It will provide economic value in the form of training for entrepreneurs and support services to capitalize on our local food and agricultural assets. Training offered through the Tribune will incorporate Incourage’s learning from six years of investing in workforce development, accelerating best practices and lessons learned with new and emerging entrepreneurs and small businesses in our area. The Tribune will accelerate our understanding of environmental sustainability and its connection to future economic prosperity. Nearly $4 million of renovation investment will support the Tribune’s status as the first LEED Gold Certified building in the community. It will serve as a demonstration and learning lab for current and future generations. The Tribune will accelerate additional development in the immediate surrounding area and south Wood County region, as demonstrated by recent real estate transactions involving downtown commercial properties on both sides of the river. The Tribune will accelerate learning and connections among individuals and institutions. Residents are framing our community’s future, and not just inside the building’s walls. Incourage staff continue to facilitate ongoing meetings of over 200 people engaged in Tribune interest groups – with focus areas spanning the local food system to downtown development. Incourage itself is learning and documenting our experience with the Tribune – of particular note related to today’s WEDC announcement is how to leverage complex financing and investment strategies and partnerships previously not deployed in this area, such as New Markets Tax Credits. Understanding and executing innovative approaches to successful community development is vital to our collective future. Incourage will share lessons learned with local institutions in order to accelerate best and emerging practices in community development throughout our region. Ultimately, the Tribune will accelerate creativity, new thinking, narrative and the ability to take risks and “fail forward” – essential attributes of a community that is open to change and new thinking in its approach to shaping a strong and inclusive local economy. We are building on a heritage of innovation, vision, commitment and perseverance in our community, and, together, we are accelerating positive community change.